In addition to tracking the fashion world closely, she's become a kind of spokesperson for young women who want to express themselves stylishly but with personal whimsy, and a vocal critic of the stereotype that fashion belongs only to a tiny group of superslender people terrified of breaking rules. For almost as long as Dunham's work has been in the public eye, she's spoken openly and often about her body type, pointing out that not every strong and enviable woman on the air must resemble a runway model. 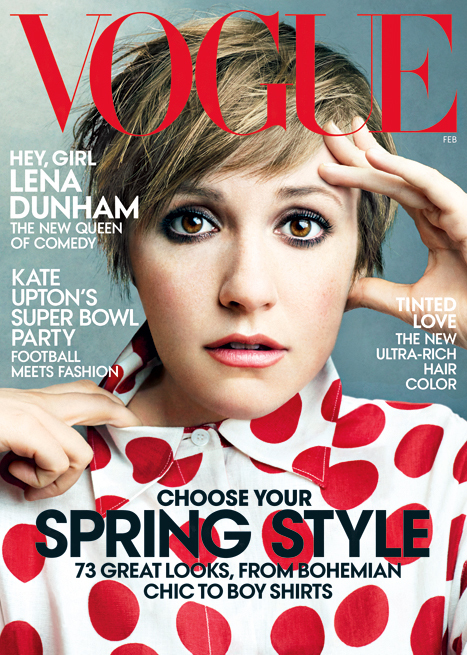 Dunham's comfort in her own skin—even when bared—has become part of her cool iconoclasm. It's the reason many people see her as the voice for a new generation of empowered young women, and it's slowly helped to shift the norms of female charisma on-screen.